Rockford Day, brought to you by Rockford Community Partners, is held annually on August 15. Rockford Day aims to showcase the people, places and things that make Rockford great with fun and interactive experiences throughout the city. Rockford Day invites local businesses, agencies, non-profits, private and public sectors to join in the celebration by offering Rockford Day themed specials, discounts and events across the city and surrounding communities. 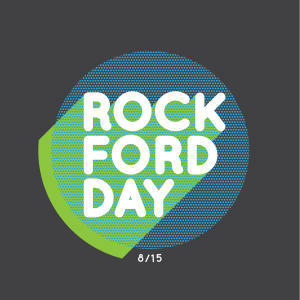 Preorder your Rockford Day t-shirt so you can wear it on August 15! Preorder sales will go from August 1 - 7 and shirts can be picked up at Rockford Art Deli on August 14. Shirts are $25 each with $5 of the sale going back to Rockford Day. A limited supply of these shirts will be available for purchase on Rockford Day at Rockford Art Deli (while supplies last). 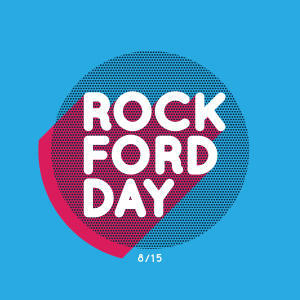 CLICK HERE to preorder your Rockford Day t-shirt! Participants will have their Rockford Day offerings featured on the Rockford Day Facebook and Twitter pages, and may be included in various promotional media (i.e., print, radio, TV). Participants are encouraged to enlist offerings that have an 815 twist. (Several of us are 779ers and we’re joining in on the Rockford Day fun). There is no charge to participate. CLICK HERE to register your specials!